Subscription services – a savvy trend for switched-on brands? Home / Subscription services – a savvy trend for switched-on brands? There’s been a big increase in subscription-based services over the last few years. We see real value for brands keen to deliver products directly to consumers – so let’s take a closer look at how and why subscription services are working so well. 1. Start your own. This is a great way to build a long-lasting and strong direct relationship with your customer. Though there are considerations of fulfilment and management, if you have a range of products and want to encourage cross-selling, DIY can be a great option. Plus you can offer a consistent, tailored brand experience, as well as full control over how your product is packaged, and you’ll also get a chance to tell your brand story. 2. 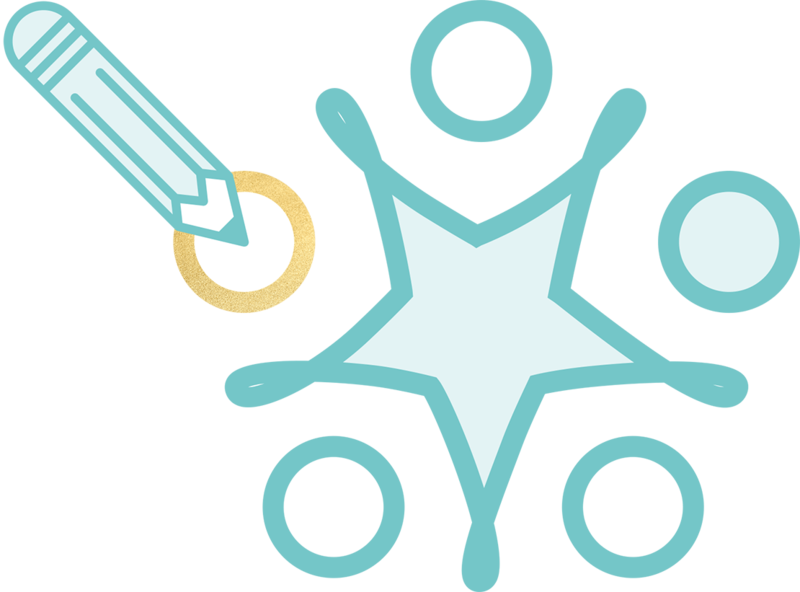 Join a curated box. There are many curated subscription services out there that put small or full-sized samples of new products directly in front of the right consumer. These are excellent news for businesses that specialise in a single product or a small range but need a brand exposure boost. It’s great way to get your fledgeling product and brand in front of consumers and build awareness (Birchbox is a great example of this). And it’s not just great business sense, consumers get big pay-offs too! Many brands offer a discount to their customers on full priced items when a subscription is set-up meaning a direct regular purchase is worth their while. Subscriptions can be offered in tiered levels of value as well as frequency of delivery. This allows products to be affordable to a wider customer-base at intervals to suit their lifestyles. Because subscriptions are automated, continuing to receive the product takes minimal effort. Customers tend to be more satisfied and loyal when the purchasing process requires less work – put simply, if there’s no reason to leave, they often stay. Subscription boxes are a fun experience. 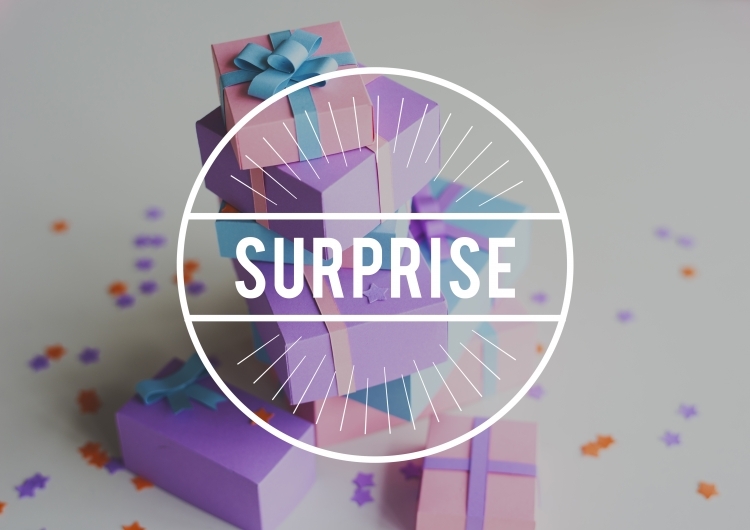 Customers enjoy the self-gifting surprise, and the opportunity to discover products they might not have experienced without an active search. Plus even boring everyday essentials can feel like a gift if it’s done in the right way. Like lipstick in wartime, the ‘little treat’ mentality is a big sell in times of austerity. The sense of occasion – combined with a great value way to experience new products – makes subscriptions very popular with cash-strapped consumers. Join us for little browse of the best – get inspired, and maybe sign up for a box or two to see what it’s all about! Pink Parcel has made women’s monthly cycles a thing to look forward to. Ladies get to pick their favourite brand(s) and add in their dates, meaning one less thing to think about every month. 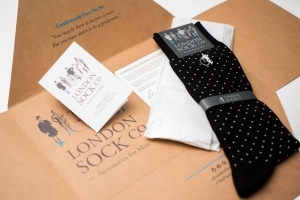 The London Sock Company making sure men are never without stylish socks again! The brilliant subscription jazzes up a boring essential, allowing their customers to pick their own, or get hand-picked socks from a stylist. Freddie’s Flowers offers cost-effective, beautiful flowers delivered to your door on subscription. 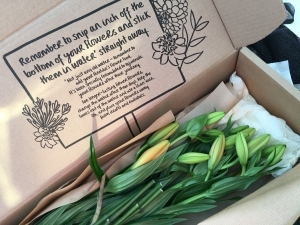 The packaging looks great, is sustainable and collected at the next delivery for reuse. What’s not to love? 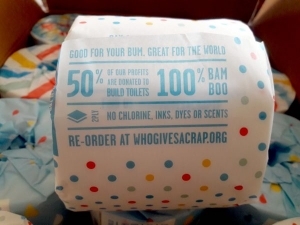 Who gives a crap offer sustainable bamboo toilet roll. Their packaging is good fun, and we love the idea of not having to think too much about this particular purchase! If that isn’t enough, they also donate 50% of their profits to Water Aid! 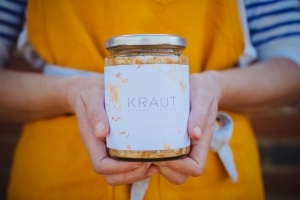 Fermented foods are all the rage and Lab’s fermented food parcel is a great introduction. Simple packaging, modern design and great flavours make this a winner… plus it’s still relatively niche, so not many retailers have cottoned on to the possibilities fermented foods offer. 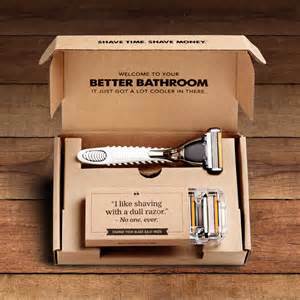 Purchasing shaving products can be a dull experience, but Reach thinks that the Dollar Shave Club has it nailed with their reduced rates, brilliant packaging and the nice surprise of a new razor to try every month. The subscription is flexible so stopping and starting-up when you want is no problem. 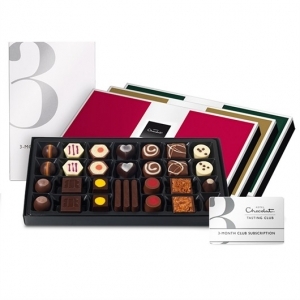 Hotel Chocolat has a monthly Chocolate Club with 55,000 members, who get to try the latest recipes before anyone else. Reach loves that it’s easy to manage the subscription online – skipping a selection, changing the frequency, or stopping is really easy which makes for a great brand experience. Plus, who doesn’t love swanky chocolate delivered to their door? If you’d like to read more from Reach and you’re wondering how to use packaging design to give your NPD launch the best chance of success? Caroline’s been blogging about the dos and don’ts here.